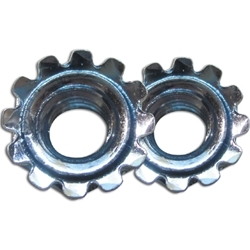 A Kep nut, is a nut with an attached, free-spinning washer. It is used to make assembly more convenient. Common washer types are star-type lock washers, conical, and flat washers.